Three complete strangers embark on a road-trip to Hokkaido. Two infantry regiments of the Imperial Japanese Army tackled Mount Hakkoda in the winter of 1902 to prepare for war with Russia. Constantly put to the test and faced with tragedy wherever he turns, can a man finally find solace and a modicum of love or rest with what is left of his hometown, his family, love or himself? A look at the relationship between a young blind samurai (Kimura) and his wife, who will make a sacrifice in order to defend her husband's honor. A hot shot teen stumbles onto a mob execution and the gangsters conveniently set him up as the fall guy. 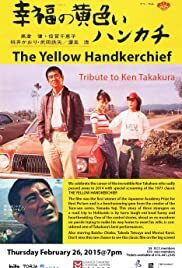 You could describe it as a gritty, "thinking man's Tora-san" (in fact it shares a script-writer and some of the same cast as the early Tora-san films). Funny in many places but not a comedy; more like a slice-of-reality, on-the-road film in which three strangers are thrown together and romantic love triumphs in the end. Not an art film by any means, but great in its own way.